Situated in what used to be a publisher’s offices, Semproniana offers a relaxed ambience in which to enjoy excellent food. One of my all-round favourites — equally good for lunch and dinner. It’s also one of the family’s favourite spots and often our first choice restaurant when we feel a need for a family celebration. I can never help smiling whenever I dine here. It’s that kind of place — quirky, arty, fun, and free of pretension. 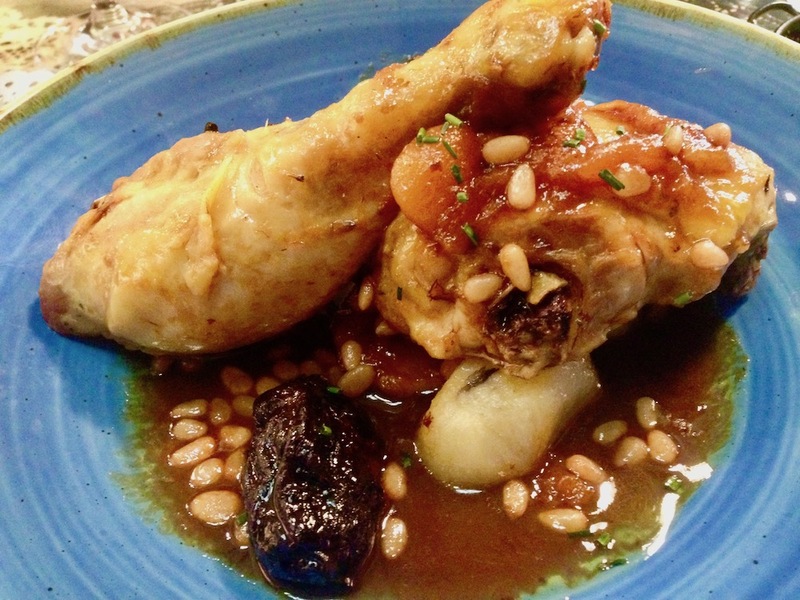 Chicken and prunes and pinenuts as served as part of the menú diari at Semproniana. The Menú de Migdia (Menú del Día or Menú Diari) costs 16,70€. The Menú offers a choice of 5 first plates and 5 second plates, ​4 or 5 desserts or fruit, water or a glass of wine. The Menú changes every day. However, grazing on tapas and fine dining is both wearing on the wallet and bruising on the palate. There are times while out and about when you want something more substantial than a snack, something a little more ordinary — more home style than stylish. The kind of food the city’s bar-restaurants excel at. Palermo is another favourite lunch spot. 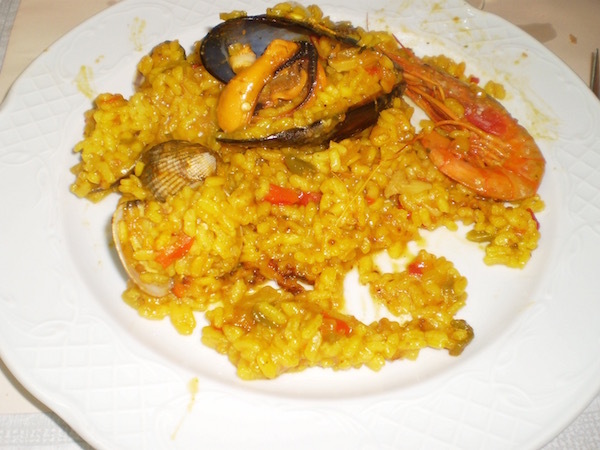 They offer a very good menú diari [menú del día] which regularly features traditional dishes such as codillo al horno (knuckle), estofado de vedella (﻿veal stew﻿) or estofado de ternera (﻿beef stew﻿) and, of course, paella on Thursdays. 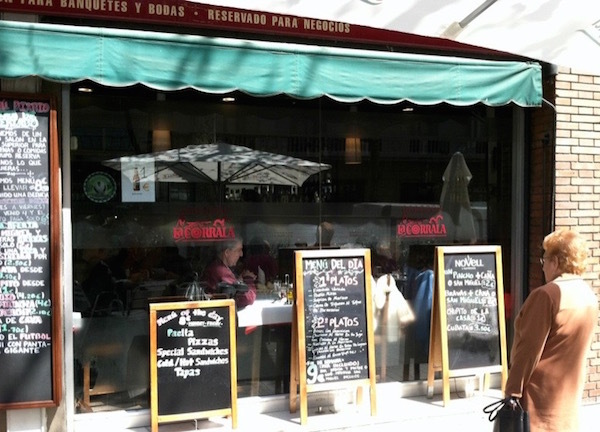 The menú includes a bottle of vino tinto (red table wine) or beer. Somodó, in Gràcia, which serves MediterrAsian cuisine, is one of my favourite restaurants for a special evening meal. Here are seven photos which should help explain why.